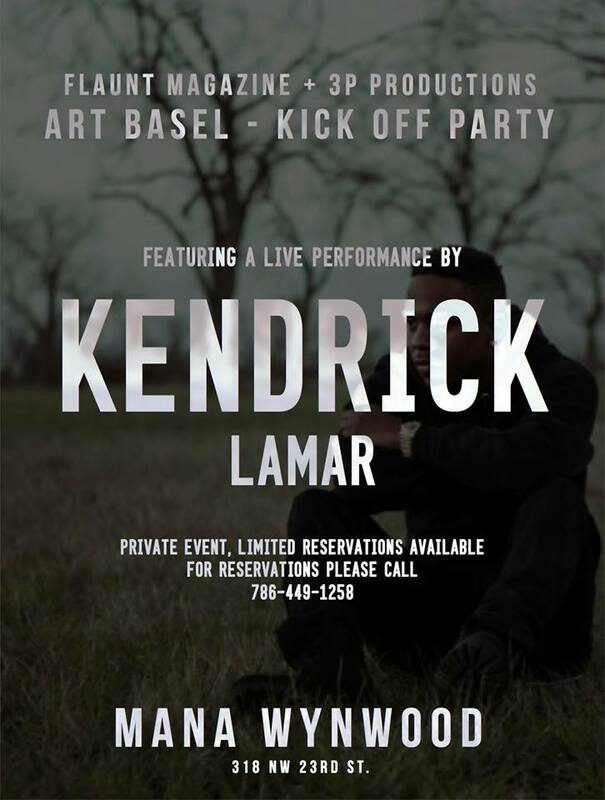 Black Hippy alum, Kendrick Lamar will be performing at one of the most anticipated Basel music events this week. After just opening for Kayne West at American Airlines Arena on Friday, Lamar will be heading to Wynwood on Wednesday night for an intimate show. Unfortunately, it’s invite only, and limited table reservations. Since the holiday season is upon us, we are feeling extra generous and giving tickets away for this exclusive show. All you have to do is freestyle for us. Art Basel is all about showcasing the best art from around the world, and we want to see South Florida’s talent. 2. Take a video of yourself free styling over a Kendrick Lamar song.